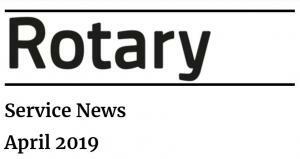 About us Photo Galleries Rotary in Gloucester Awards Scheme Joining Rotary Fund Raising Activities Fund Raising Event Reports Local Community Projects International End Polio Campaign - Thanks to Rotary, its nearly history! Club Sporting Events Social Events Where do we spend our money? Thanks to our sponsors!